Duplicate observations affect your analysis results. You can remove them by using the NODUPKEY option in Proc Sort. 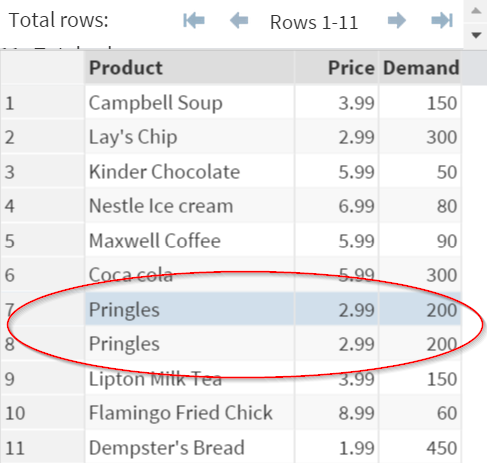 Pringles is a hot seller. However, it is also duplicated in the data set. 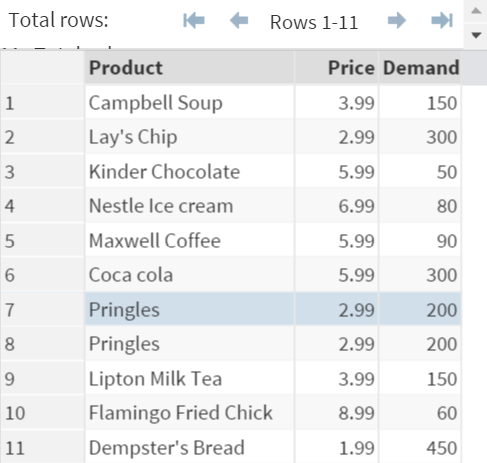 ​We can use the NODUPKEY option from Proc Sort to remove the duplicate observations. 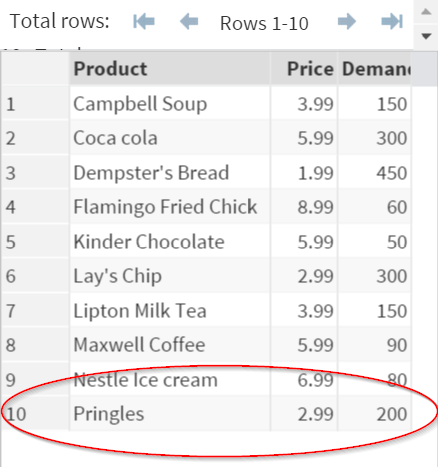 The data set is sorted with the duplicated observation (Pringles) removed. The Log window also shows a note about the removal of the duplicated observation. Note: the NODUPKEY option should be used with caution. 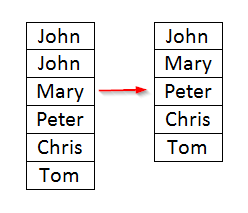 Triple check the duplication before you remove them from the data set. Copy and run the INCOME data set from the yellow box below. 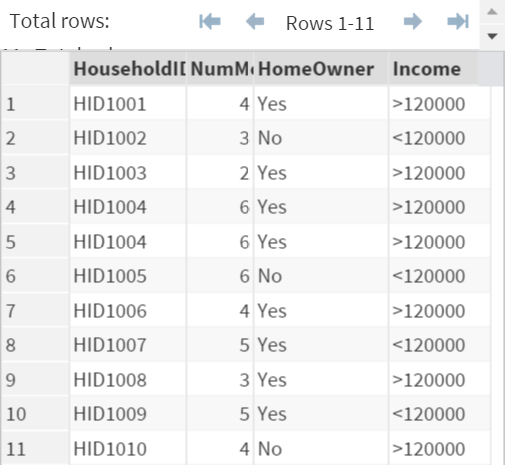 Remove any duplicate observation(s) from the INCOME data set.